iPhoto ’11 bug may cause data loss – update before launching! There’s a serious issue with the new iPhoto ’11, announced as part of iLife ’11 on October 20th. If you’re an existing iPhoto user and you have an iPhoto library with photos in it, you’re at risk of losing all your photographs when you upgrade to iLife ’11 because it will also upgrade your iPhoto library. Apple already released a patch, version 9.0.1, which you must install after installing iLife ’11 and before you launch iPhoto ’11 for the first time, since that requires the iPhoto library to be updated. 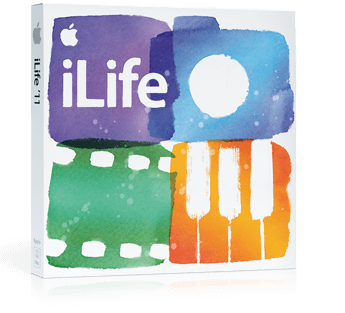 Find the 9.0.1 update in Software Update after installing iLife ’11. Apple also published a support document containing more information, right here. As always, you need to have a backup of everything valuable on your computer – and I reckon your photographs goes under “valuable”. So, why not check out Amazon for a 1TB external drive to do a Time Machine backup on? Otherwise I recommend CrashPlan as an online backup storage solution, which I also use for my 100 GB Aperture 3 library. This looks pretty cool. I’m slowly making the transition from window to apple. I spend more time on the move than ever and apple products are just perfect for it. But they ain’t cheap! I always back up my files after I have done anything so I don’t have to fear anything.